Add astrology to all aspects of your life including your home décor in this collection of of 40+ ready-to-frame cosmic prints perfect for every zodiac sign. 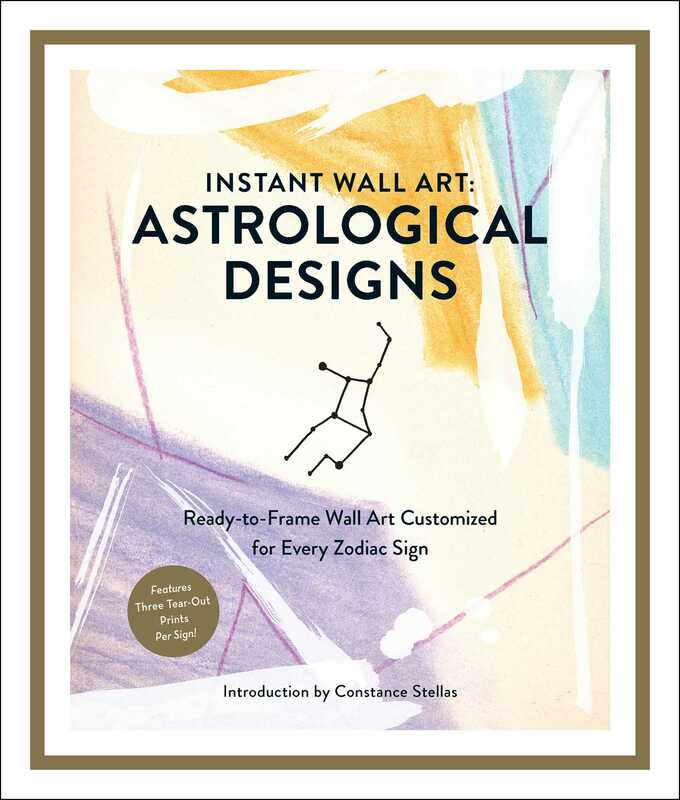 Updating your home décor has never been easier or more cosmically inspired than with Instant Wall Art: Astrological Designs! First, choose your sign and you’ll find wall art designed just for you among 40 high-quality, 8x10 prints with perforated edges for easy removal and quick framing. Put together a unique display to showcase different aspects of your sign, from the constellations to imagery inspired by your element. Try framing and sharing with your friends as a unique housewarming gift. Or create a beautiful mix-and-match with you and your partner’s signs to make your shared space truly feel like home together. Perfect for a new apartment or a home gallery in need of a change, these gorgeous astrology-inspired prints are an affordable way to start your own unique art collection.